Mireio, the upscale French brasserie at Raffles Makati, recently introduced their prix fixe lunch menu. You can select a 2 course meal for P988++ or a 3 course meal for P1,100++ with coffee or tea. The menu is small with 4 appetizer, 4 main courses and 2 desserts but all are quality dishes and for a great price. 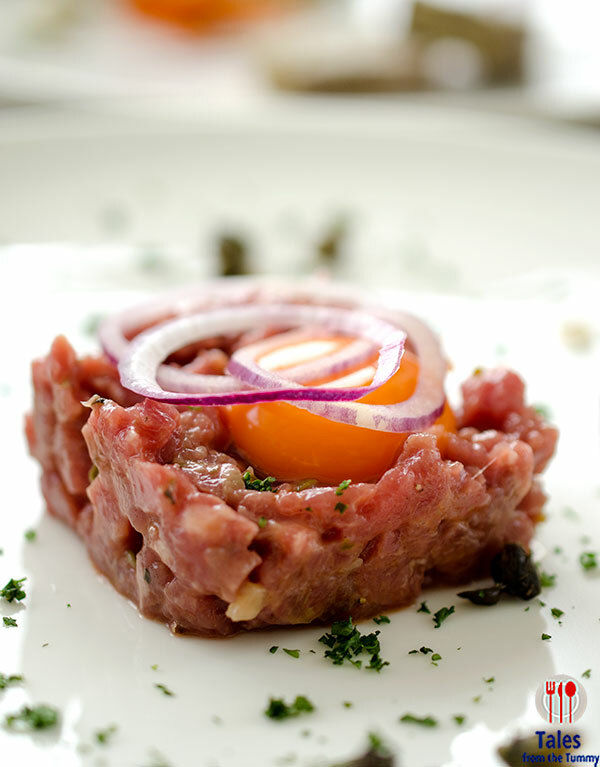 Classic Beef Tartar. They serve a different one for dinner but I like this interpretation of the classic with a bright golden yolk crown more. Fresh beef, chopped well but still with good bite and texture. Mixing in the egg yolk gives it a nice sheen and extra creaminess. Nicoise Salad. The chefs went creative with their execution of this classic dish but the flavors are still retained. 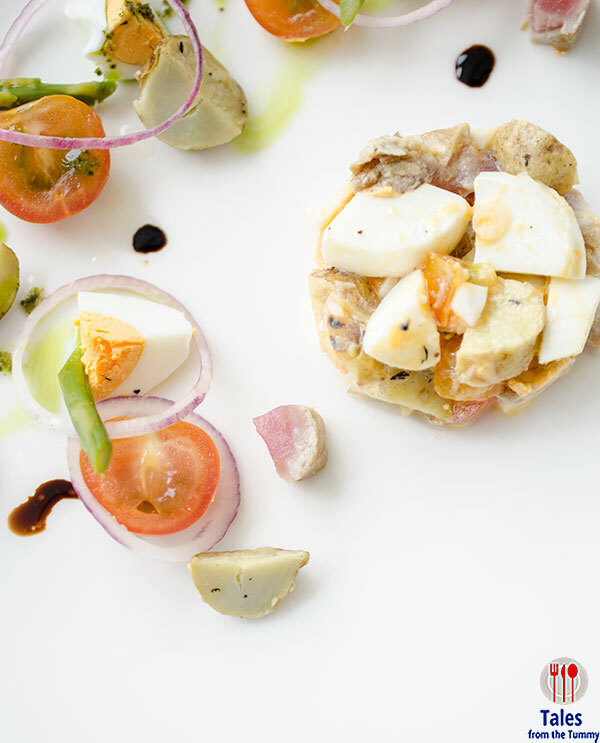 Your visual senses will enjoy the way they’ve plated the tuna, eggs and tomatoes. Parmentier Soup with Blue Cheese. 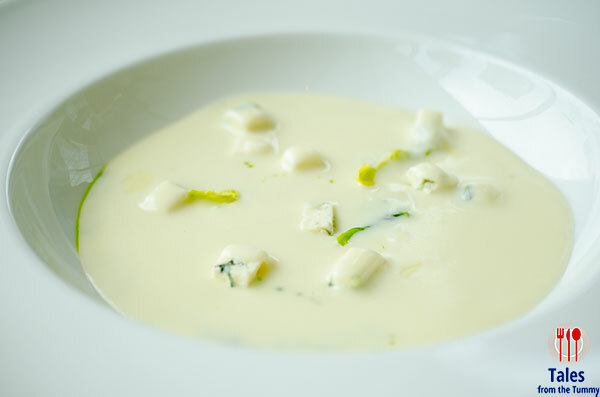 A potato cream soup with cubes of funky Roquefort blue cheese. A bit heavier than the other options but gives a hearty start to your mid day meal. 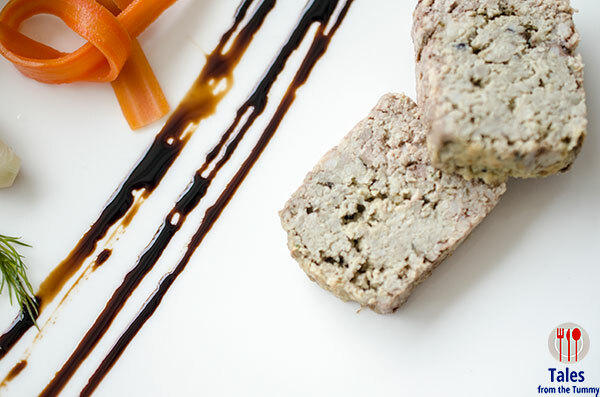 Home made Chicken Liver Terrine. This is served with pickles and mesclun salad. I’m not really a fan of chicken liver so skipped this one but my dining companions enjoyed it. Mariniere Clams with ras el hanout, served with french fries. 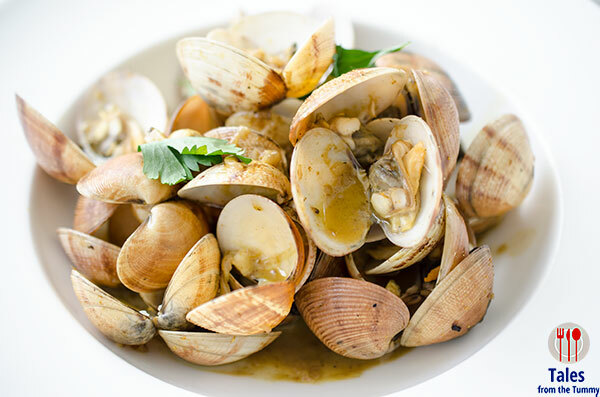 Fresh clams cooked in ras el hanout, an African spice mix similar to garam masala and has a curry like taste. This was my favorite main course from the selection, the clams were immensely flavorful because of the spices but you still taste the sweetness. 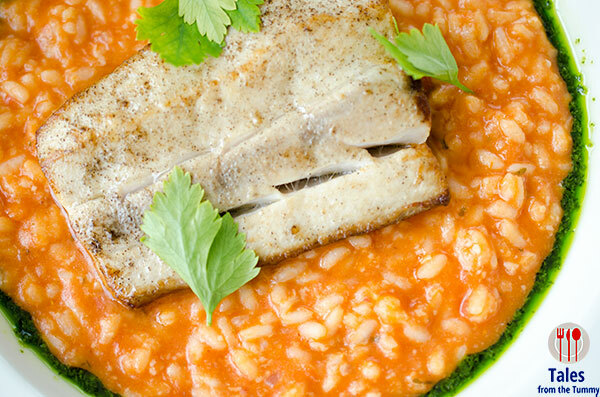 Pan-seared Mahi Mahi with Tomato Risotto. Al dente tomato risotto with a large piece of mahi mahi, both are cooked just right with flaky but still tender fish and a risotto that still retains a good bite. Pan Fried Steak, served with french fries and Bearnaise sauce. Nothing to dissect with this main course, for the meat and potatoes person in you. 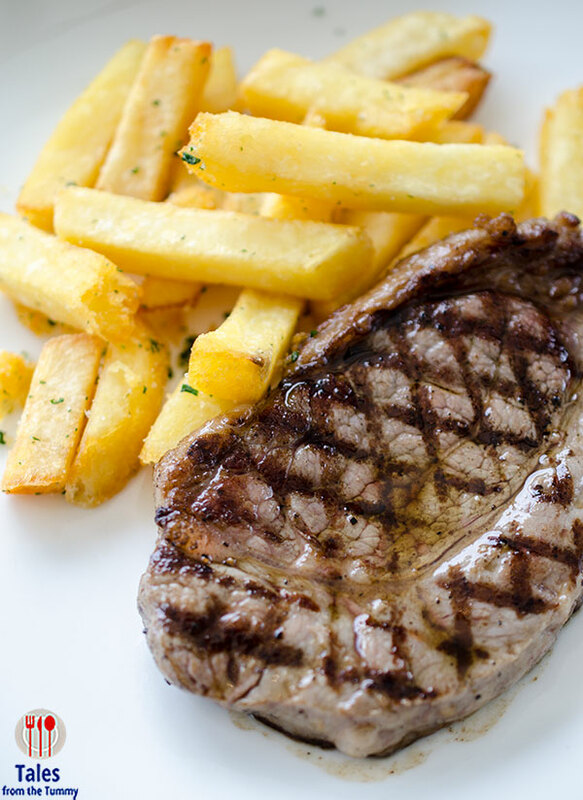 Perfectly cooked steak with crisp french fries and a rich Bearnaise sauce on the side if you want to dip. Homemade Spaghetti with Mushroom Carbonara. 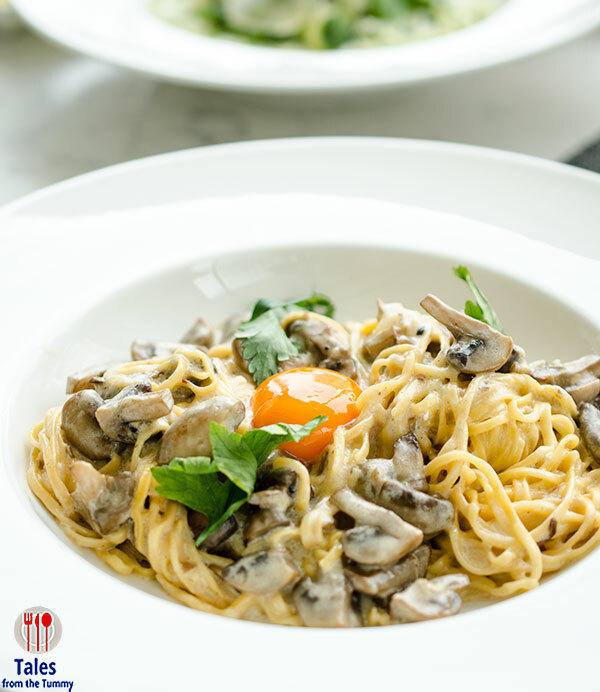 Generous amounts of mushrooms with a bright egg yolk and fresh pasta. I’m not a fan of this one, I felt the flavors were a bit off so I can’t recommend this one. Tart of the Day. 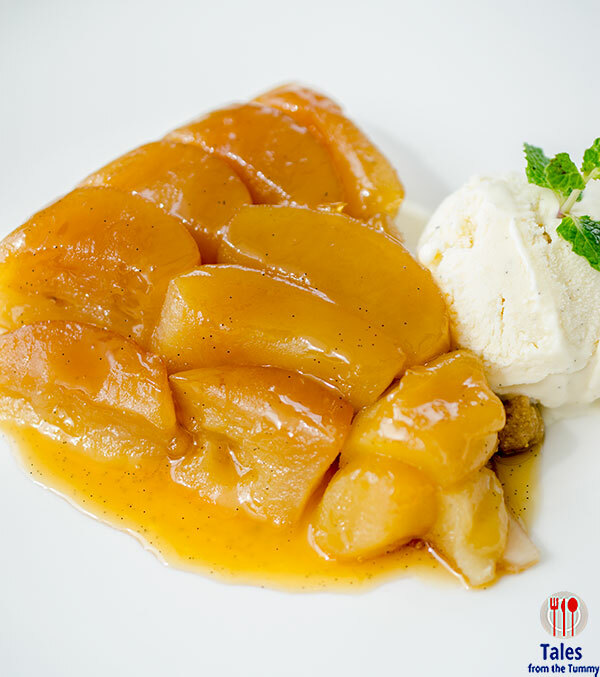 Tarte Tartin or apple tart was the tart available for our lunch. This is a different execution from their dinner one but no less delicious. Served a scoop of vanilla ice cream that was dwarfed by the generous slice of tart. 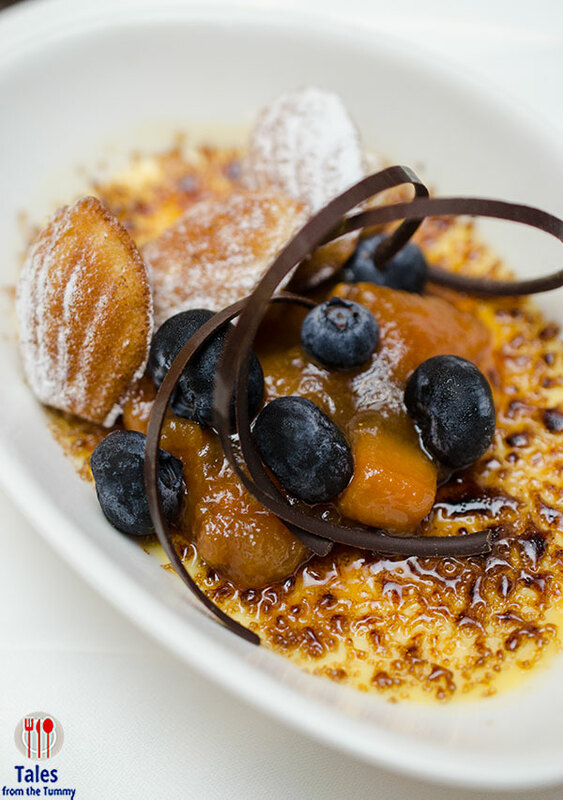 Lavender Creme Brulee, topped with lemon madeleine and fruit compote. Lavender is not something everyone likes so if you hate it then you’d better skip ordering this as the flavor is evident in each bite. I, on the other hand, love it. The toppings add a break int he taste but I could do without it and concentrate on the pure lavender creme brulee flavor.